Tony brings more than three decades of on the ground experience in holistic land management and water conservation to The Freshwater Trust. As a third-generation rancher, he has received honors and recognitions from agricultural organizations, environmental and wildlife interests for his holistic land use techniques and strategies. Before moving to Oregon, Tony and his wife Andrea owned and operated Twin Creek Ranch in Wyoming for 31 years. 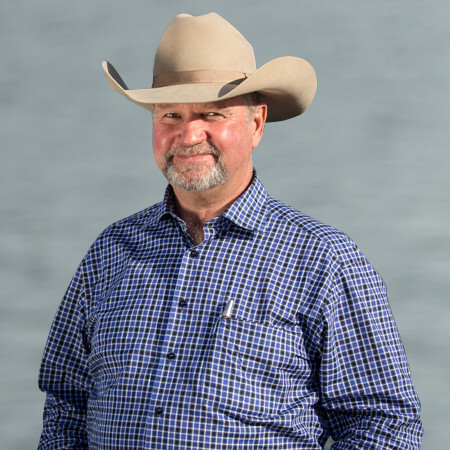 Tony was a licensed realtor in the state of Wyoming and is an Accredited Field Professional for Savory Institute, for training Holistic Management, with emphasis on Holistic Planned Grazing. As a Flow Restoration Project Manager, he ensures the continued success of flow restoration projects being carried out in Oregon’s John Day River Basin. Tony enjoys golf and exploring grass ecosystems across the world.